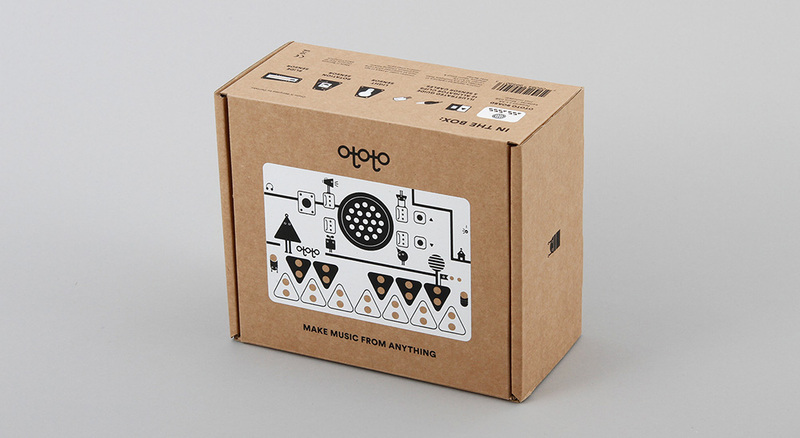 With Ototo you can make music from anything, whether you're a musician creating new ways of interacting with sound, looking to use sensors to transform your next project or exploring music and electronics for the first time. 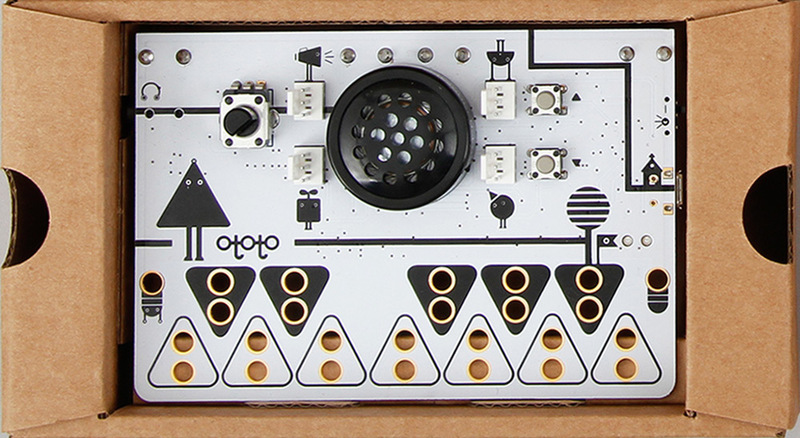 The packaging had to hold lots of different combinations of sensors and the main Ototo board. 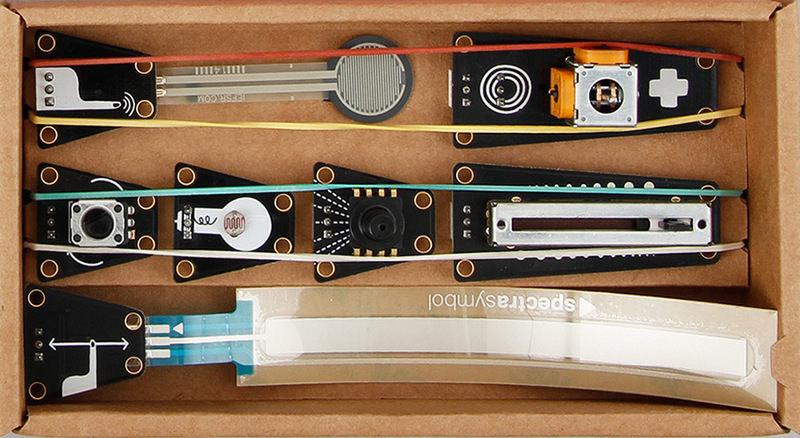 An interchangable fitment was developed to plug the sensors into and they are then held securely by elastic bands. 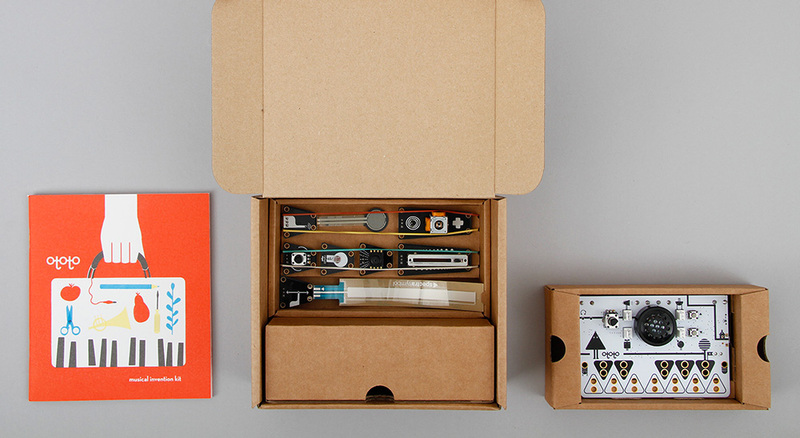 The outer box is screen printed and a bold and bright user guide provices a vivid splash of colour on the inside. 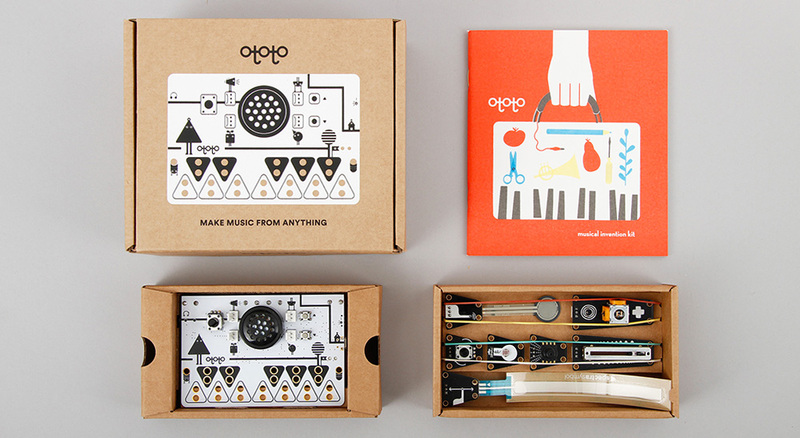 The beautiful illustrations and graphic design was developed by Naomi Elliott. For further information visit: Burgopak Studio.